Why Canadian Studies at Dalhousie? Through the Canadian Studies program’s interdisciplinary approach, you’ll get an overview of what makes Canada the country it is—and who its people are—in terms of history, politics, culture, and society. In this era of globalized economies and a growing sense of international citizenship and responsibilities, Canadian Studies programs are enjoying something of a renaissance. Knowing ourselves and understanding our place in the world as Canadians remains a legitimate – even urgent – task for students and scholars alike. Join a community of teachers and students interested in questions of Canada’s regional character, national identity, and global responsibility. Learn from award-winning professors from a wide range of disciplines, with interests in everything Canadian from eco-criticism to multiculturalism to hockey. Read the other 3 reasons. Did you know that Dal undergrad students can do a double major in almost any two subjects or programs we offer? You could combine Canadian Studies with Sociology and Social Anthropology, History, Political Science, International Development Studies, or English - to name just a few. 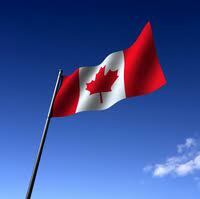 A Minor in Canadian Studies is the ideal way to enhance your degree. Want to know more? Contact an academic advisor.